I had been in contact with Benjamin Paz of Beneficio San Viscente for several months, trying to lock down the best time to come down and cup. Kati and I had recently tasted some coffees processed at San Viscente Mill, and were incredibly impressed with the sweetness, body and clarity. 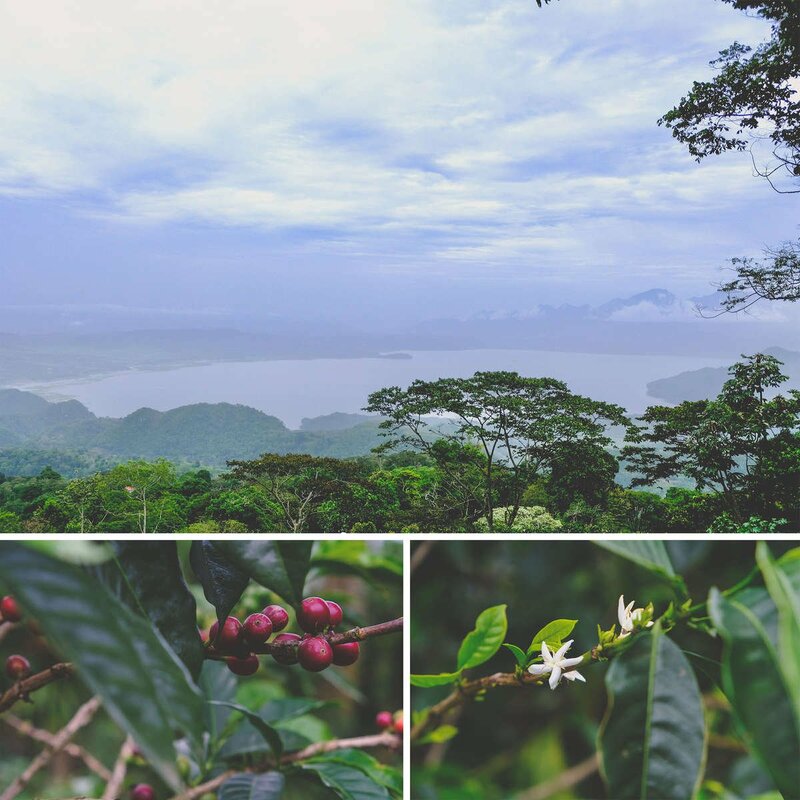 We knew that we had to get down there and see for ourselves why these coffees were tasting so much better than other Hondurans we had tasted in the past. Early summer is an extremely busy time of year in Honduras, with the fresh harvest arriving at the mill, and the logistics kept falling through. Kati and I were swamped ourselves, with the opening of our second retail location, and it just didn't seem like it was going to happen. Finally, I received the email I was waiting for: come on down! Booking a last minute flight, and only able to leave Oregon for three days, I was on my way to a country I'd never been to, in search of really good coffee. 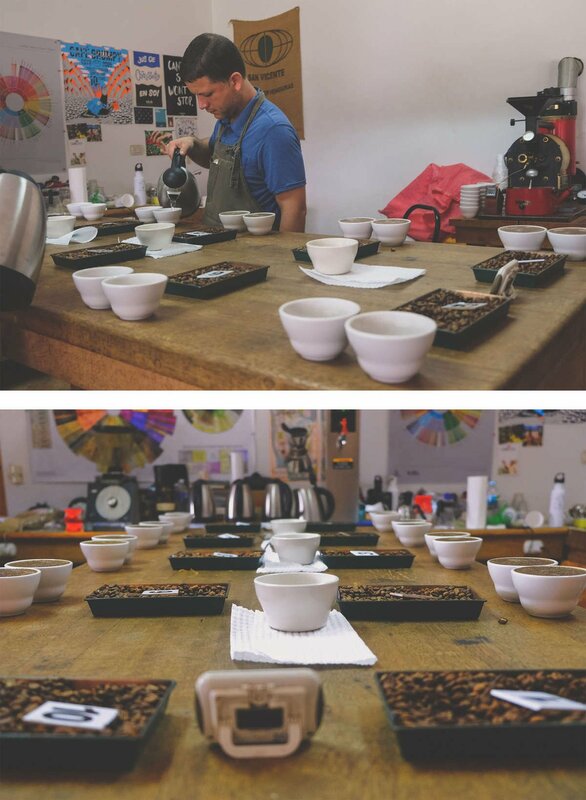 Benjamin Paz and Co. set up a great cupping. After a red-eye flight, I arrived at San Viscente Mill bright and early to cup through several tables of coffees. As soon as I finished the first table, I knew that I would seek form a lasting relationship with the Paz Family. The coffees they showed us exceeded every expectation with juicy sweetness, clarity, body and balance. Caramel, milk chocolate and beautiful florals tones were prominent, promising to be versatile as both drip and espresso. I narrowed it down to our final selections of 9 beautiful micro-lots, then headed out to make good use of the afternoon by visiting several nearby producers we would be working with. There are worse views than the mountain-side farm of Gerardo Trejo. The farm of Gerardo Trejo was up first, and it was a stunner! The farm is straight out of a nature film, situated high in the volcanic Santa Barbara mountain range with a breath-taking view of Lake Yojoa. Gerardo proudly showed off his heathy coffee trees, telling us about his sustainable farming practices. 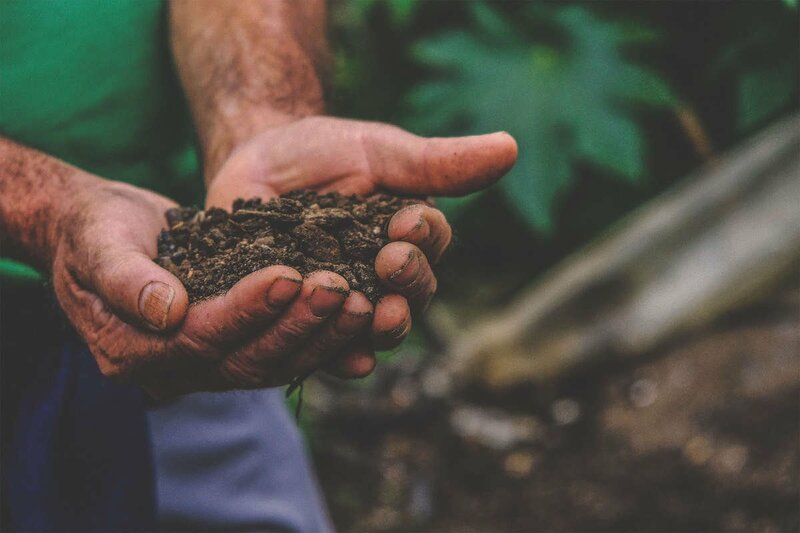 His use natural fertilizers and excellent agricultural practices led to a bumper crop this year, despite production being down around 50% in Honduras this year due to frost. 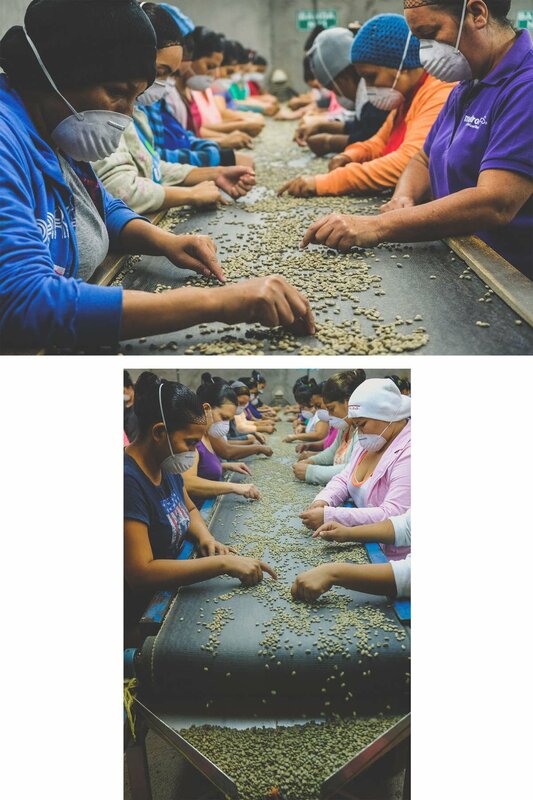 Workers hand-sort through the incoming harvest, removing defective beans. San Viscente Mill, Santa Barbara, Honduras. Between visiting producers, we also toured the San Viscente Mill with owner, Benjamin Paz. It was clear that their scrupulous attention to detail directly affects cup quality and taste. Benjamin Paz and his family take pride in working with the local coffee-growing community, connecting them with roasters who are seeking quality coffees, rather than commodity grade. Though San Viscente, we are able to build relationships with producers and pay them a premium, fully traceable price for their high quality coffee. Producer Leonel Erazo is a local celebrity, know in the community for his weekly talk radio show about conservation and agronomics. Mr. Erazo shows off some of the nutrient rich soil of his farm. He saves the outer husk of the coffee cherry and composts it, using the tree's own composted fruit to enrich the future harvest. Orchids thrive on the coffee farm. 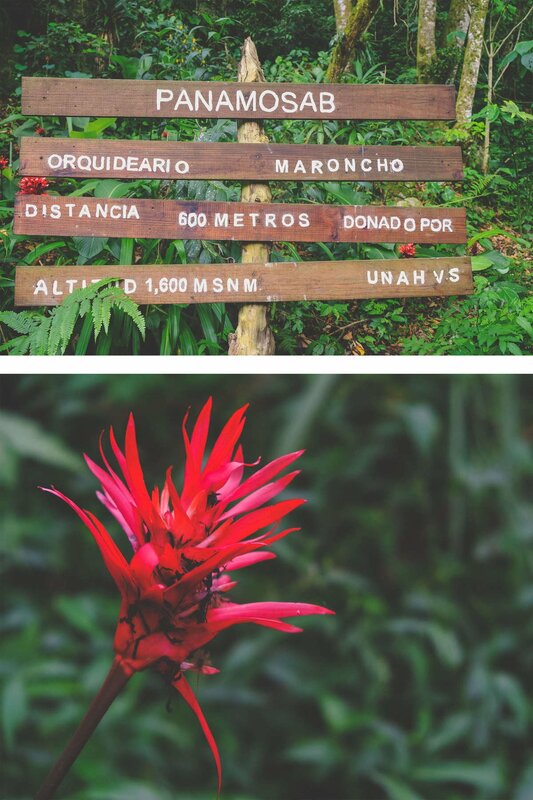 His coffee farm was more like a nature preserve, featuring an extensive orchid forest. He was kind enough to give us a tour, proudly showing off the many varietals of the exotic flower. That evening Benjamin brought us down to the local soccer arena. 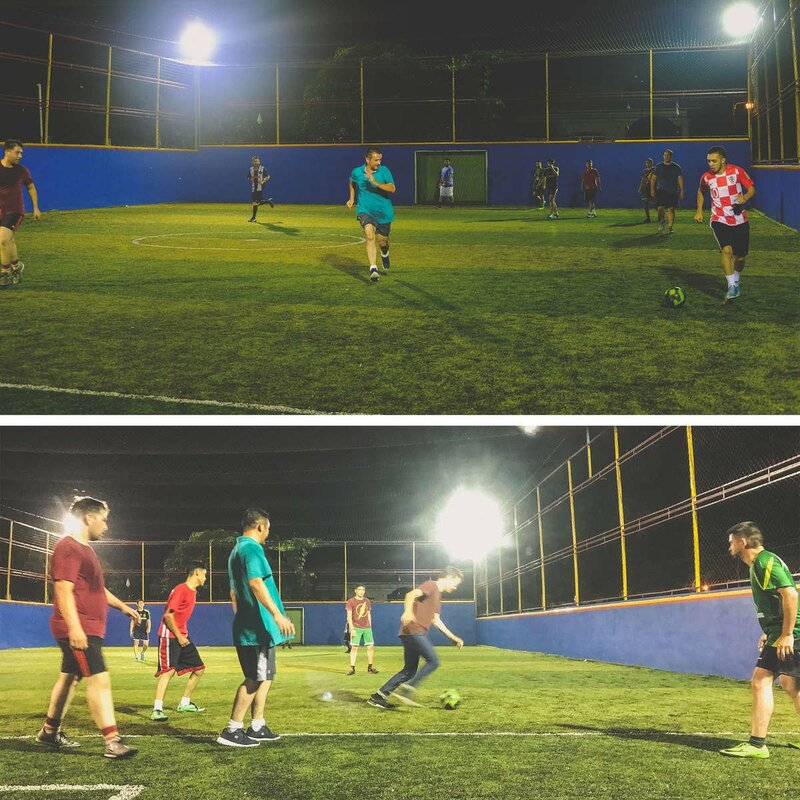 He rents out the venue every Saturday evening so their friends and family can play, and invited my traveling buddy, Mark, and I to join the game. 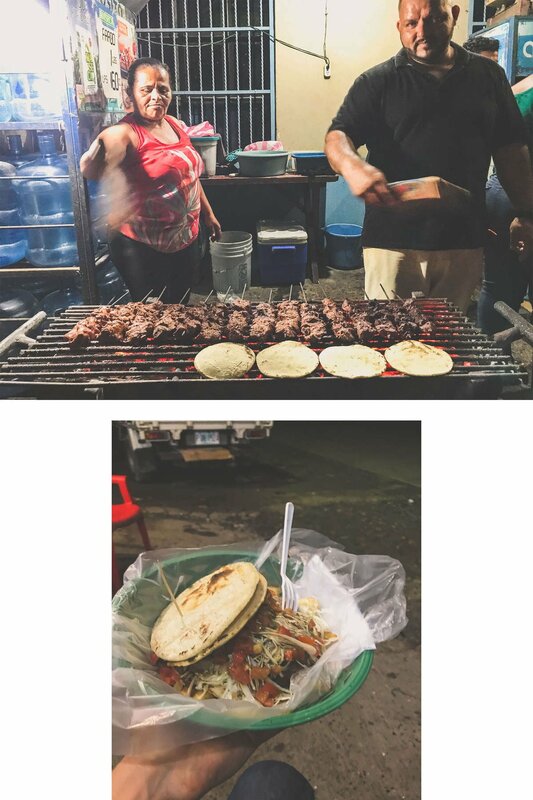 It was about 80 degrees and the Central America humidity was thick. All I'd packed for the quick trip was a pair of jeans, and we had no bottled water. It was the sweatiest, most fun game of soccer I've ever played. Though it was by far the quickest coffee-sourcing trip I'd ever been on, it was well worth it. We established new relationships with San Viscente and the Paz Family, and sourced some amazing coffees from producers we hope to work with for years to come.